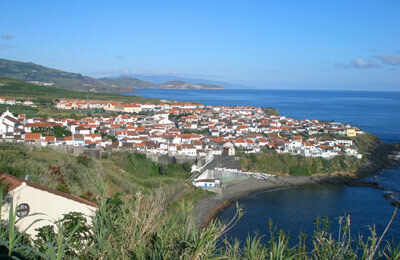 Porto de S. Roque is a port on the island of Pico. The island is part of the Azores, which is a group of nine islands 850 miles west of Portugal in the North Atlantic Ocean. Below, you can find all the Porto Horta ferry timetables, journey times as well as our best prices. Porto de S. Roque ferry port is very basic and is simply somewhere to jump on and off a ferry. Porto de S. Roque ferry port can be easily accessed via roads. There is one main road that circles the island and another that cuts through the middle. Even from the furthest point of the island it should only take half an hour to reach the port. If you don't have a car then a bus or taxi would be the next best solution to getting to and from the port. Porto de S. Roque located on Pico island. 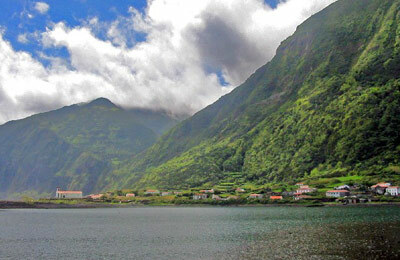 The island is one of nine islands found in Azores - a group of islands 850 miles west of the Portuguese coastline. This city of Porto de S. Roque has a population of only 3,500 (approximately). The small is the islands most important harbour and fishing port. The town has a museum about whaling in the old whaling factory. Here you will learn about whaling and can see the old processing machines and boilers. A short drive away you will find Pico mountain, the largest of the mountains in the Azores. If you make it to the top you will be rewarded with some stunning views.